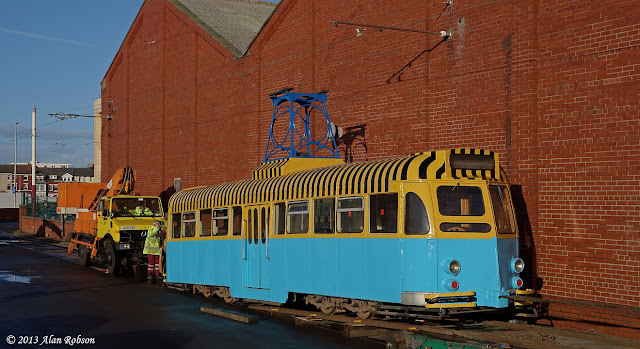 Balloons 701 and 723 were noted in the main running shed at Rigby Road depot today, both fitted with snowploughs in anticipation of any rare winter snowfalls that may hit the Fylde coast. 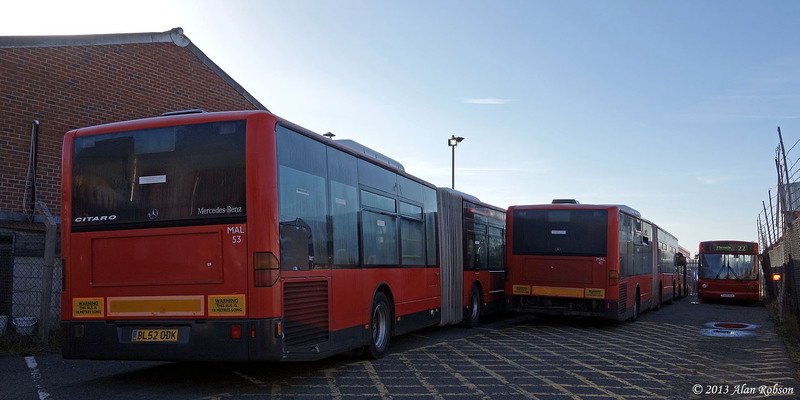 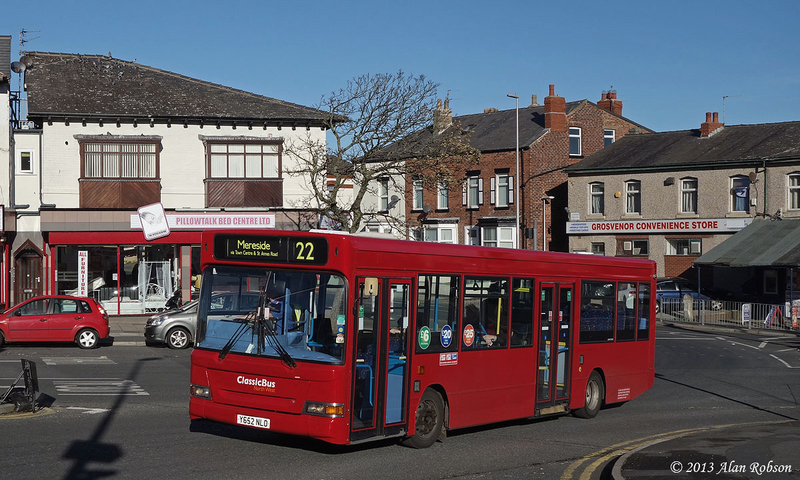 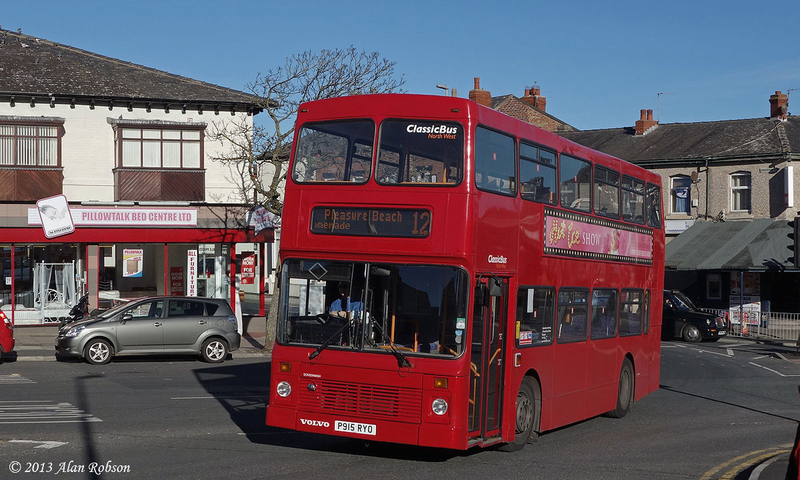 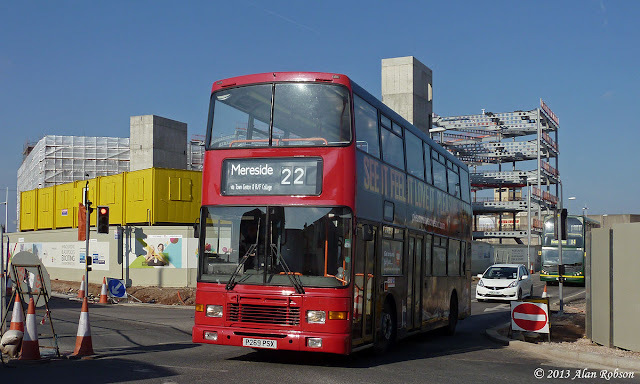 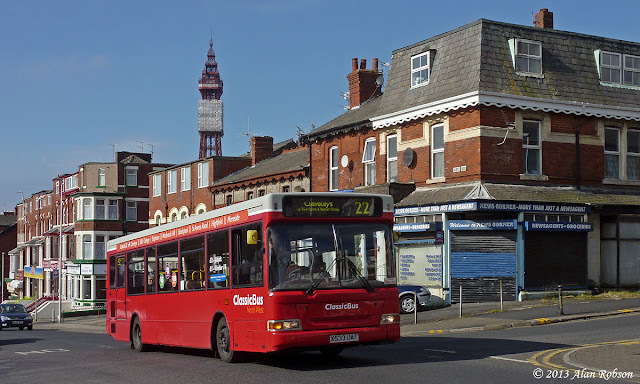 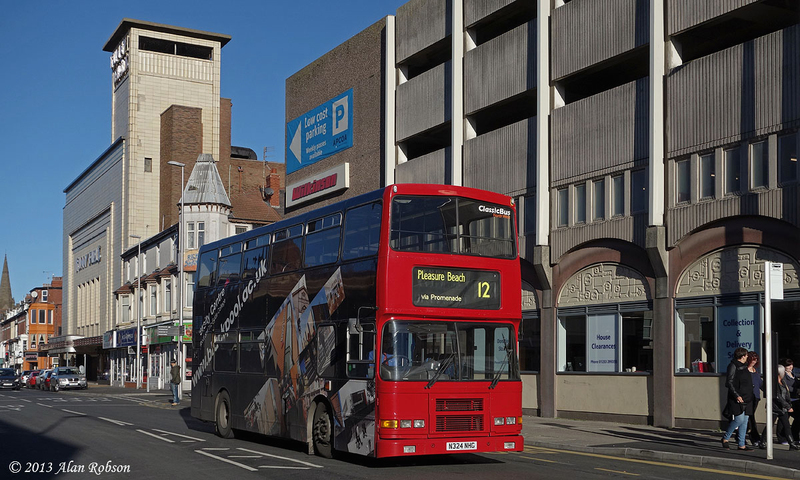 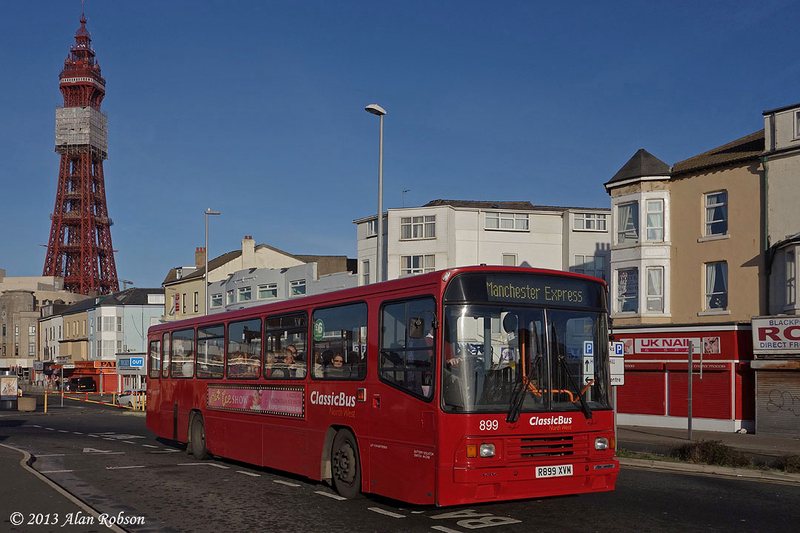 Classic Bus North West's Red Rocket express service is going from strength to strength in passenger loadings on the morning runs to Manchester, but increasingly the Mercedes-Benz Citaros are being replaced by other vehicles in the CBNW fleet. 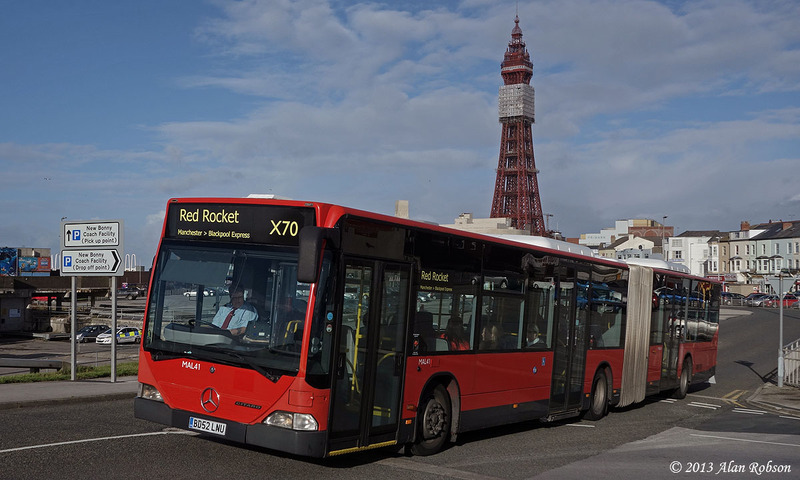 The 10:30 morning run from Blackpool has regularly been operated by the ex Transdev Harrogate and District Volvo B6BLE 611 (W611 CWX) for the last few weeks, and other vehicles have also been noted standing in for the Citaros, either due to mechanical problems or there has also been talk of heavy fuel consumption with the bendy buses. 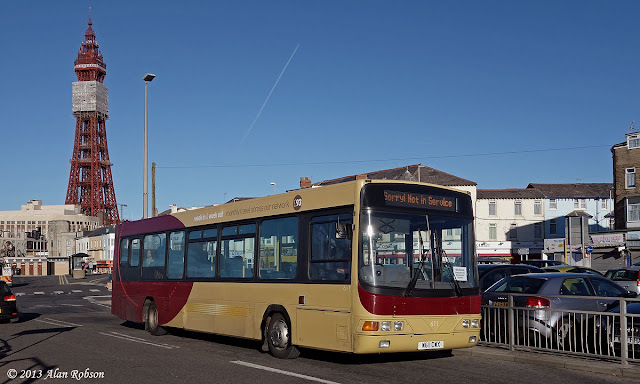 This morning (Nov 25th) even the 10:30 ex Harrogate Volvo 611 broke down, being swifty substituted by former Stagecoach North West Volvo B10M R899 XVM, which is normally seen in use on the local Catch 22 service. Two of the Mercedes-Benz Citaros (MAL41 and MAL53) were noted laid up out of service in CBNW's storage yard at Marton on 25th November, leaving only MAL49 available for use on the Red Rocket. 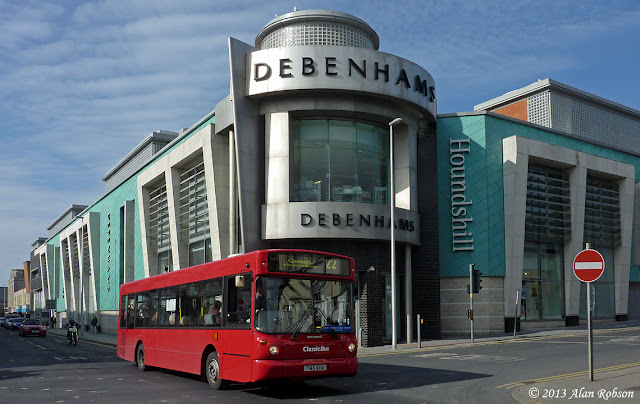 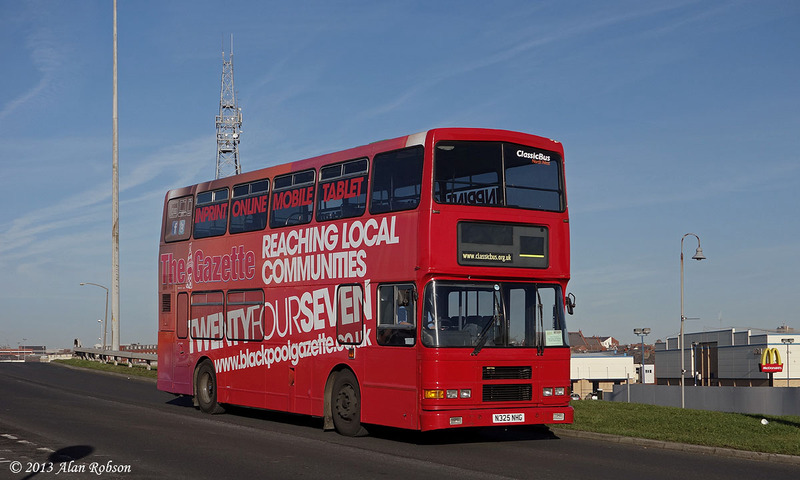 During the course of the year, bus routes that normally operate along parts of the promenade have had to be diverted around the back of the town, both northbound and southbound routes, due to various road closures. 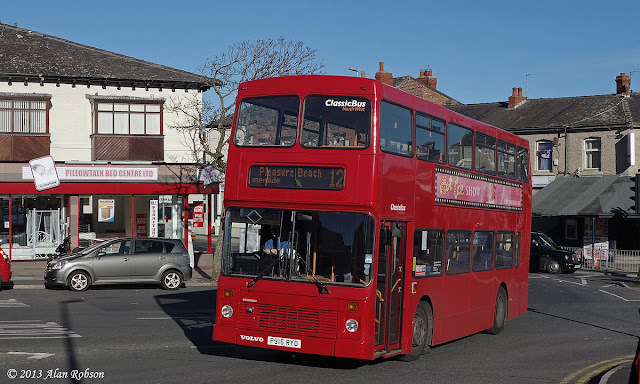 Here are a selection of views of Classic Bus North West vehicles on temporary route diversions during 2013. 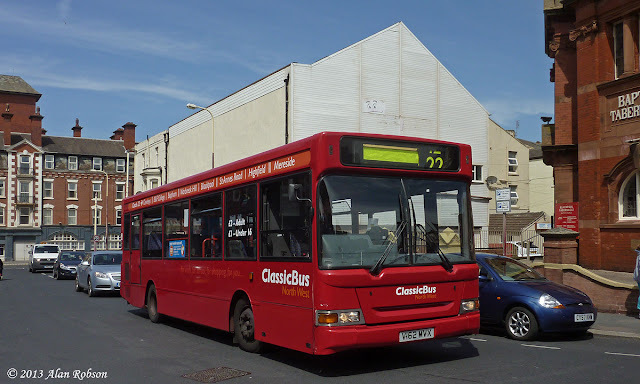 Tiger striped 622 looked like it had taken a detour via the jungle, as it was seen carrying tree branches on Lytham Rd! 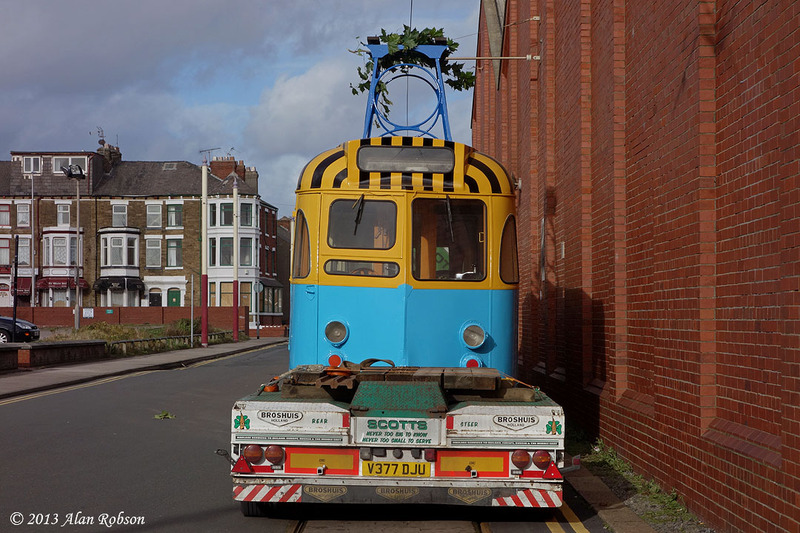 Brush car 622 made an unexpected return to the rails of Blackpool Tramway on the afternoon of 7th November. 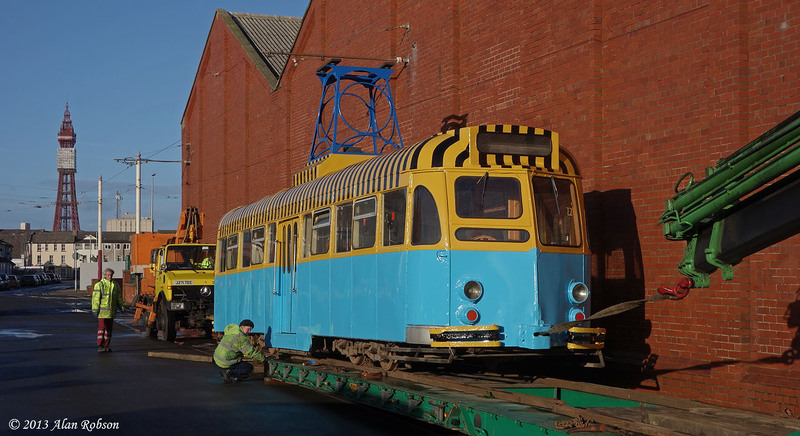 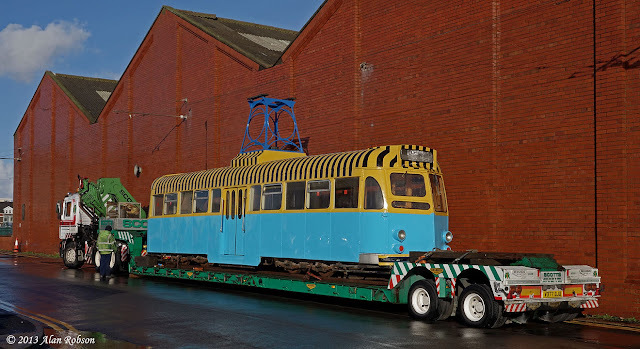 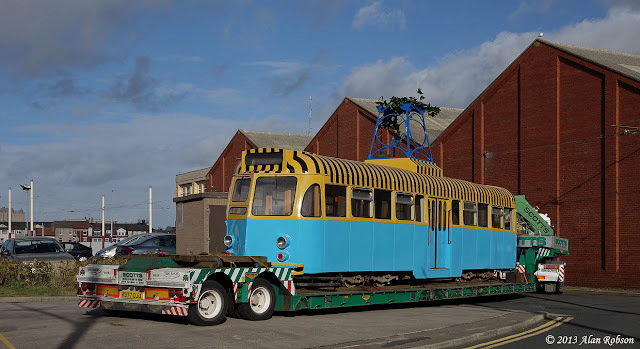 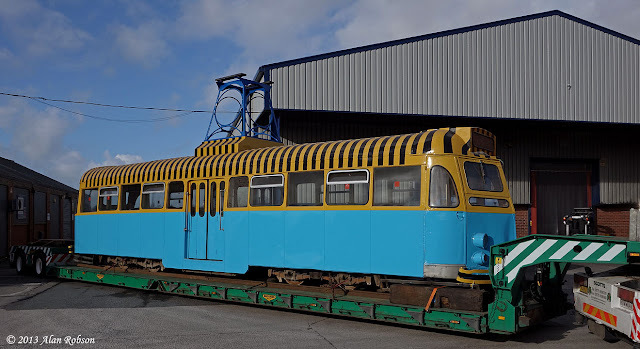 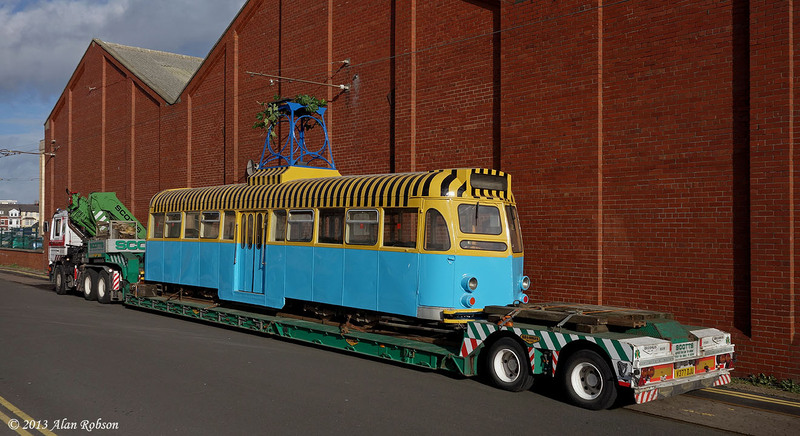 The former Tigerrific all-over advert tram had to vacate its home of the last three years in Marton due to a change of ownership of the premises, and has been moved to Rigby Road depot in Blackpool for temporary storage. 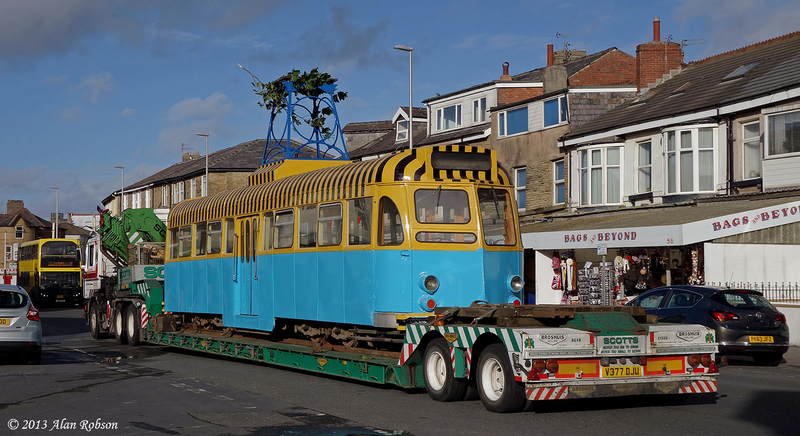 622 was unable to be moved directly to its final destination of Anchorsholme Primary School, as they were not yet ready to receive the tram.